I pointed out that Australia is the dunce of the class on climate change according to the Climate Change Performance Index 2015. Elsewhere the French are already considering how to cope with Australia’s and Canada’s negativity at the Paris conference next December. Who is going to protect them from him? The Local Government Association of Queensland (LGAQ) is seeking legal advice. Seeney claims the issue has nothing to do with climate change! Denial doesn’t come clearer than that! 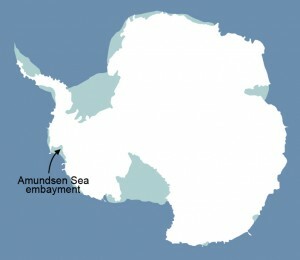 A NASA study has done a thorough analysis of the land ice melting in the Amundsen Sea Embayment where the glaciers are melting faster than any other area of Antarctica. The rate of loss accelerated an average of 6.1 gigatons per year since 1992, but now the rate is increasing by 16.3 gigatons per year. The total amount of loss averaged 83 gigatons each year over the whole period, that’s the equivalent of losing the weight of Mt Everest (not just the ice on it) every two years. A separate study has found that the seas around Antarctica are warming, which could increase ice shelf melting. Ice shelves float, so the melting does not cause sea level rise, but they buttress the land glaciers. Take away the ice shelves and the glaciers flow faster. Belectric and Vattenfall have opened new large-scale battery energy storage system at the Alt Daber solar power plant in Germany. The facility uses lead-acid batteries. For the system to be economical without any financial support, costs will have to come down by around a third. Solar and wind energy enjoy strong support from the Australian public, with 80% of people putting them both among their top three energy choices in a poll for the Australia Institute. By contrast, coal and coal seam gas were chosen by 35% and 38% of those polled as being among the best three future energy sources. A separate review of medical literature by the Australia Institute debunked the fear that wind power damaged people’s health, finding “no credible evidence” directly linking exposure to turbines with negative health effects. Nine out of 10 people said they wanted more solar energy. Six in 10 people said they were concerned about the impact of coal and coal seam gas on the landscape. Solar researchers working at the University of New South Wales (UNSW) claim to have produced a system that converts over 40 percent of incoming sunlight into electricity, thereby taking the title of highest solar efficiency for a photovoltaic system ever reported. “This is the highest efficiency ever reported for sunlight conversion into electricity,” said UNSW Professor Professor Martin Green, Director of the Australian Centre for Advanced Photovoltaics (ACAP). And oil for that matter. Consistent with carbon neutrality/net zero emissions by 2050, or full decarbonization by 2050 and/or negative emissions by 2100;…. He understands they were put there by Norway, the Marshall Islands, Sweden and the AILAC grouping of countries consisting of Chile, Colombia, Costa Rica, Guatemala, Peru and Panama. Andrew Robb Bishop have noticed and are complaining. It will be interesting to see whether the statements stay. Readfearn finds that a move for a zero emissions target is growing and Malte Meinshausen explains that it is inevitable if we are serious about staying within two degrees. Seeney in Denial? It’s far worse than that. Given Seeney’s input to the Moreton (Draft) Planning Scheme it is interesting to contrast it to the actions taken in Grantham. He seems to have not interfered since election. More worrying are the changes to Planning Law in Queensland. Here’s the Minter Ellison info sheet (Aug 2014). I find the withdrawal of many safeguards, checks and balances very disturbing. Whilst Planning Schemes are probably fair game for reform, the proposed changes probably go far deeper than necessary or safe. It is likely that the dark hand of Seeney and Newman has guided the structure of the “reforms” shielded by the carrot of “prosperity”. Good luck with defining prosperity against all societal circumstances. It is ironic that even as the legislation is being drafted that many Councils are revising their Planning Schemes are they are required to do under present law. These revisions will need to be revisited to comply with new planning laws. Go here: http://www.lga.sa.gov.au/climatechange for a stark contrast of how South Australia deals with climate change. What a difference! Bear in mind too that around 30% of their electricity is generated by wind. This a bigger read but much can be gleaned from the Executive Summary beginning on page six. Good comments, Geof H. I see Seeney is attempting to justify his “actions”, but it all boils down to protecting property values. Like that can work. Brian, the “dance of the class” link is very interesting. I fully hope that Australia is specifically uninvited to Paris. 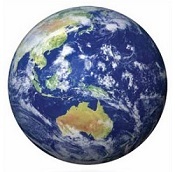 If Australia, Canada and Saudi Arabia are not present what difference would the collective 85 million unrepresented people (1.2% of the global population) mean to the outcome in real terms. Diddly squat, but yes a very significant share of emissions. But if those governments are going to destroy the whole process, it is better to proceed without them to a significant solution and sort out the interjectors with trade and other sanctions later. If denialist idiots are going to play poker with our environment then they should have to “buy” a seat at the table by putting up solid and binding commitments in advance. 6. Further evidence that real Australians know which end their sav is sauced on. 7. It is probable that UNSW’s claim is not fully correct. The Spectrolab (a Boeing company) products have been in use for many years, but not the specific devices that UNSW is using. What has been here are the 40.5% efficient devices that are designed for high level concentration applications ie 500 to 1 and above. These devices are about 15mm square and deliver 40 watts peak from a concentrated energy source, and cost around $20 each (if bought in volume). The maths is pretty simple, an area of around 250mm by 250mm is sufficient to convert 10 kilowatt from a 700 to 1 two dimensional focused energy source, and will cost around $4500 for the primary components. The catch is that to collect 10kw electricity by this method you also get 15 kw heat energy, which if your solar concentrator is in the middle of a paddock is both useless and a problem. however if it is in the roof of a building then that other energy can be put to good use. This was the basis of the GenII PV system that I spoke of many times. There is a lot more to it but that was the core. The existing Spectrolab concentrators are in Queensland in some remote communities up there. As I have said earlier I have toned down my system to an e 4.5 kw system using the fairly expensive Panasonic Sony panels which are 20.5% efficient and deliver 235 watts from 1.3 square meters, but which are back fitted with thermal collector plates which collect up to an additional (complete system) 9kw equivalent thermal energy for water and space heating. The challenge is to put that together in an affordable manner with the other components of a complete solution. The panels that the UNSW system seem to be displaying are Spectrolab’s recently developed broad panels which are an on development of their triple layer collector technology. Most of the debate on this subject is focussed on the readily available Chinese origin panels which are in the 15% efficiency area, and the discussion so far has not include the features of the PVT (photo voltaic thermal) systems. There is a good comment in there demonstrating how the deployment of the dishes is used to balance the power delivery against demand. 2008. 2. Seeney’s actions were supported by Bob Carter in an opinion article published in The Australian yesterday. Carter claims that sea-level rise as actually recorded on the Australian coast is a lot less than the general figures being quoted. Also, he says that satellite recording of sea level is useless with current technology as the level of error is greater than the sea level rises being claimed. So of course, he is applauding Seeney’s actions. Does anyone have answers to his points? And BilB, Brian has a post coming up of our recent travels in Central Australia that includes some discussion of the Windorah PV/diesel system. BilB @ 2, thanks for the information. Australia, Canada and Saudi Arabia are members of the UNFCCC and I suspect can’t be uninvited. 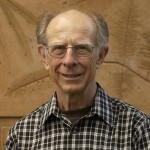 Len @ 4, Bob Carter is a professor emeritus in geology. I understand his speciality was sea levels of 15 to 20 million years ago. I understand that from time to time he used to go on American excursions where they dredge up sea bottom sediment. He told me that the error margins were very large. I mentioned my puzzlement at how satellites could measure the sea level to within millimetres when if you go to the beach the daily tide variation is metres. He said he thought the maths involved would be a piece of cake for the scientists involved. He’s obviously changed his mind, but I’ve come to disrespect just about everything he says. I’ve seen him present trend lines on slides of temperature charts that are not mathematically derived, just done by eye and obviously wrong. I suspect his mathematical knowledge is close to zero. He actually picked up his climate science quite recently from seriously strange people. Other than that I can’t comment, except I think I’d take more notice of people like Stefan Rahmstorf who specialises in the area and cut his teeth on quantum physics. A straight forward German from Potsdam with no motivation to tell porkies or mislead. Under a high-emissions scenario, a sea-level rise of up to a metre or more by the end of the century is plausible. Changes in the frequency and magnitude of extreme sea level events, such as storm surges combined with higher mean sea level, will lead to escalating risks of coastal inundation. Under the highest sea-level rise scenario by mid-century, inundations that previously occurred once every hundred years could happen several times a year. Sea-level rise will not stabilise by 2100. Regardless of reductions in greenhouse gas emissions, sea level will continue to rise for centuries; an eventual rise of several metres is possible. This has implications for decisions taken now on the ‘footprint’ of our cities. On p27 on the counter a map indicates that in SEQ SLR has been only 1.3mm pa, cf 4.6mm in SA and 8.1 in Perth. So the citizens of Moreton Shire might be lucky. Nevertheless the report says that SLR of more than a metre by 2100 is plausible and that using high end projections in planning is justified. Apparently Seeney had a lot of complaints from property owners in Moreton, probably not in Grantham. He’s now put himself in a strange position in relation to the science. I’m sure the lawyers will let him know.